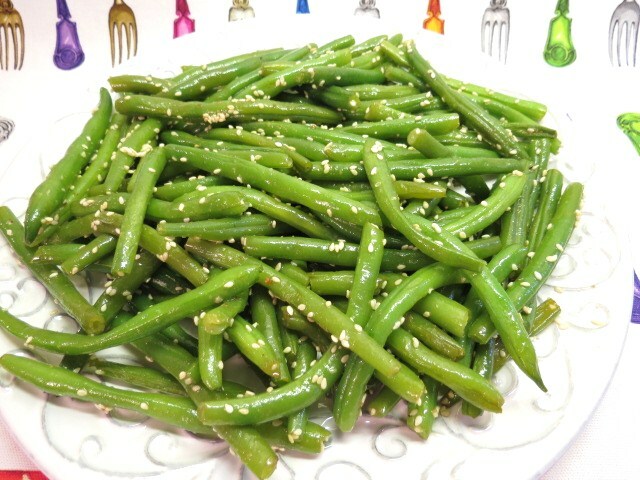 Green Beans with Browned Butter and Sesame Seeds – Browned Butter Can Be Prepared Ahead ! Green Beans with Browned Butter and Sesame Seeds is the last recipe in a series of 6 ‘make ahead’ recipes, all of which can be prepared – or prepped – a day or two ahead, which will help to make your busy life a bit easier! 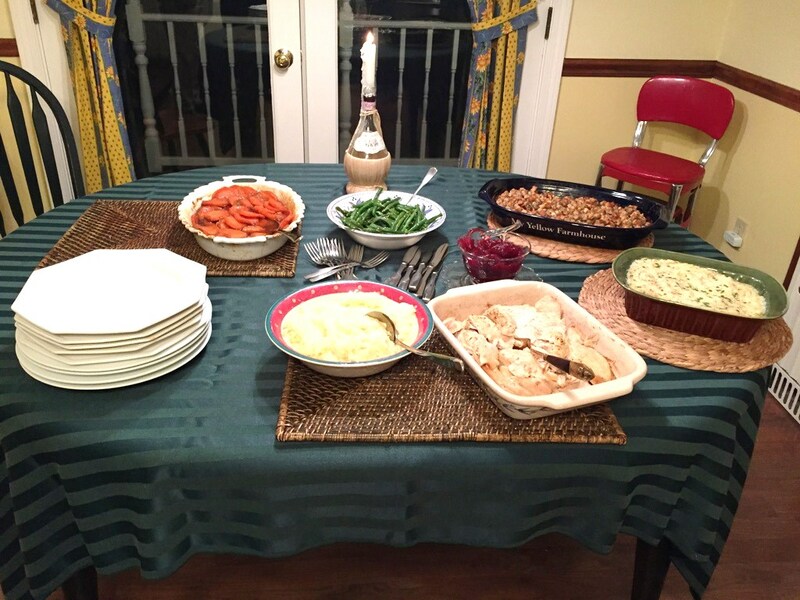 By preparing a few dishes each night for two nights, all you’ll need to do the day of The Big Feast is roast the turkey, make the gravy and cook the green beans. I’ve been preparing green beans this way for a few years but today it was a bit different as I had to list amounts and cooking times – I usually just ‘wing it’. Guests often ask, “How did you make these beans?” Well, now they know! Everything was very casual the night of the ‘taste testing’. ++ The amount of beans shown here should serve between 5 – 6 people, depending upon how many other sides dishes you’re serving. I figure approximately a handful of fresh beans for each guest… but I have small hands, so this ‘method’ might not work for you! ++ If you’re having lots and lots of guests and need to cook more beans, just double or triple the browned butter. But remember, the cooking time for the beans will be a bit longer. 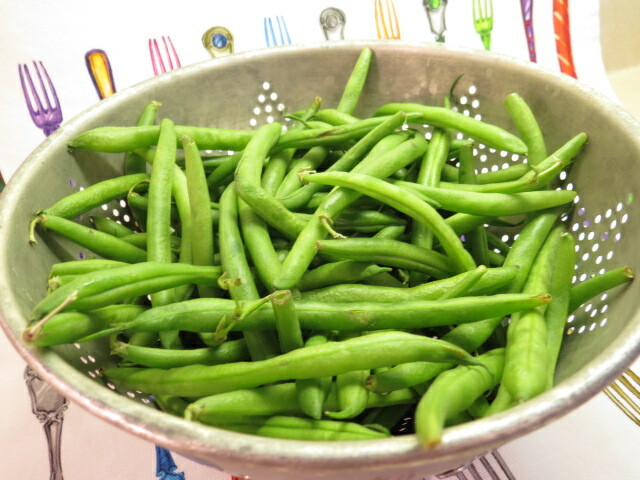 fresh green beans, rinsed – ends snapped ++ You don’t have to snap both ends… although I usually do. Place beans and 1/2 cup water into a large skillet with a cover. Bring water to a boil. Cover and allow to cook at a light boil for between 10 -12 minutes. ++ Beans will not be fully cooked at this point. While beans are cooking (or the night before/earlier in the day) prepare the Browned Butter, which only takes about 5 minutes! Place 2 Tbs. butter, 1/8 tsp. Mrs. Dash ‘Garlic & Herb’ seasoning and 1/4 tsp, salt in a small pan over medium heat. It’s not necessary to stir the butter but you do have to watch it carefully ! After several minutes the butter will have foamed up considerably. Remove pan from heat and add 1 Tbs. sesame seeds. Set browned butter aside until beans are fully cooked. ++ If you prepared the browned butter the night before (or earlier in the day) remove it from the refrigerator and rewarm in the microwave before adding it to the cooked beans. Remove cover from skillet. Lower heat a bit. Continue cooking for another 5 – 6 minutes, stirring every once in a while. ++ Any remaining water will gradually evaporate, which helps the browned butter to stick to the beans. ++ Be sure not to overcook the beans – you want them crisp-tender!! Add your prepared browned butter to the beans, mix well — and serve. Easy and delicious! Happy Holidays to All – Enjoy ! 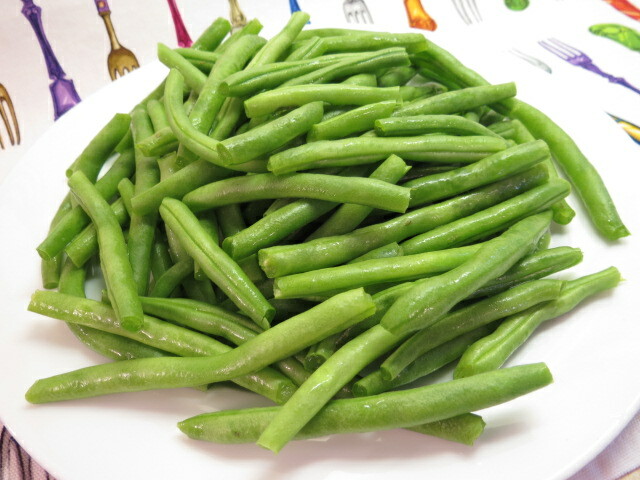 Hope you had a wonderful Thanksgiving and love the touch of sesame seeds on those green beans! 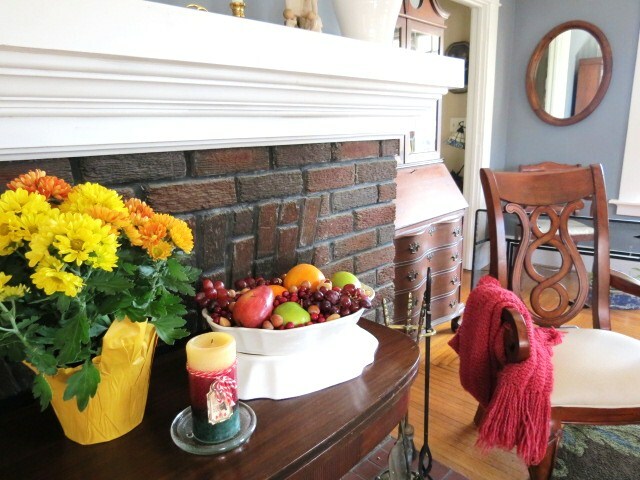 I DID have a great great Thanksgiving – thanks so much! I’m in Pennsylvania with one of my son’s and his family. I just made a big batch of turkey soup & I’m going to post it tomorrow. I’m happy you liked the idea of the sesame seeds -it’s a simple touch but it doesn’t add that ‘something extra’!! What a great side dish! “Just wing it”…that is what my husband says all the time. Have a nice Thanksgiving Cecile. Quick and tasty any time of the year. However I prejudiced. Everything is better with butter. Since I limit my butter, when I do eat something with butter I am in heaven. The sesame seeds are a great touch. Hi Carol ! 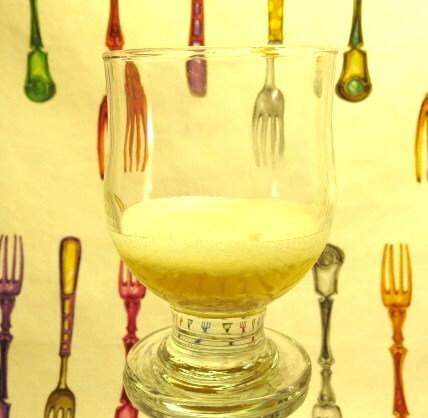 You know what – recently scientists are saying that it’s OK to eat butter… go figure! And I do think, even for someone which such excellent discipline as youself, a bit of browned butter on these beans won’t hurt you! Thanks so much for commenting – I can’t tell you how much I enjoy them! (And I agree, the sesame seeds just ‘kick it up a notch’ – to copy Emril ! I know exactly what you mean – I’ve had to throw away my share of green beans as well. 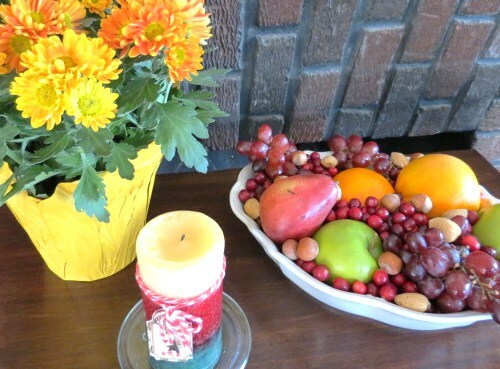 When I was feeding a family – plus my sons friends – nothing ever went to waste. And cleaning out my fridge was easy because pretty much all the leftovers had been eaten !! Browned butter is one of many preparations I have yet to attempt though it’s useful in various dishes, both sweet and savoury. I’ve done clarified butter for baklava but that’s as far as I’ve gone in playing with butter. As to green beans, the one and only time I bought them to cook, I ended up pitching them cause they’d sat in my crisper for more than a week and were getting wilty looking. I’ve eaten them in restaurants and they were fine but I just can’t make myself cook them at home. Memories of overcooked beans just turn me off.